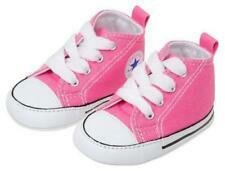 INFANT Baby Girl's Size 1 Pink CONVERSE Soft Sole. Condition is Pre-owned. Shipped with USPS First Class Package. Converse Pink White Lace up Crib Shoes Baby Girl Size 1 . Condition is Pre-owned. Shipped with USPS First Class Package. Style Type: Crib Shoes. Manufacturer: Converse. Collection: Converse All Star. Specialty: Printed. Fabric Type: Canvas. 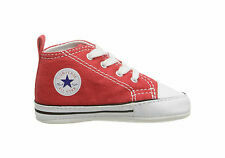 CONVERSE ALL STAR CHUCK TAYLOR Infant Red Soft Bottom Crib Shoe Size 1. In worn once condition... Ready To Wear!! Size 1c. Please look at pictures what you see is the item you will get. LITTLE DIRTY ON THE BOTTOMS. 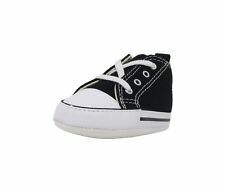 Converse New Born Crib Booties Boys Girls Whie Leather First Star Baby Shoes. Condition is New with box. Shipped with USPS First Class Package. Condition is New with box. Size 1 crib. Kept in Storage. 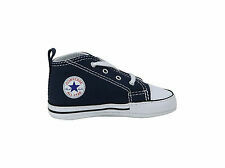 These little Chuck Taylor Converse All Star navy pre-walker sneakers are size 1. They have a lace-up fastener and are in very good condition. 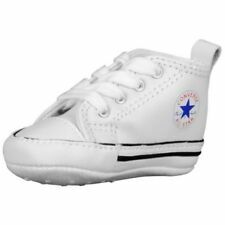 I have a pair of converse all star chuck Taylor infant boys white leather hightop crib shoes, they are size 1 C. These are used shoes and do show signs of wear. I don't have the box. Infant toddler size 1. Pink and white canvas Lace up sneakers. Use enlarge and zoom feature for best views. May need a washing (textile machine washable). view photos to judge these good looking shoes for yourself! 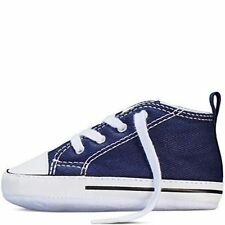 NEW Infant Toddler Converse Chuck Taylor. Infant size 1. To make you happy. Feel free to ask, we typically respond within 24 hours. Unsatisfied?. We are human and do make mistakes. In GREAT condition. These have a scuff on the front left toe. They have cute print on the insole. #3816 inventory. Great condition, near new. Both pairs are in FANTASTIC condition, with very little wear. Both have been washed / air dry and are ready for wear. We are human and do make mistakes. 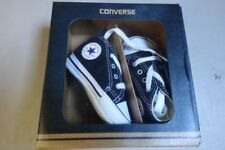 Converse Chuck Taylor All Star High Top Sneakers Leather Brown size 1 Kids Junior. Excellent - Only slight signs of wear. Does not diminish the overall appearance of the item. All Star Chuck Taylor. Hook & loop back closure. Good - Shows signs of regular use. Item shows visible wear. CONVERSE ALL STAR 632501F GIRLS SHOE (155). SIZE :1USA / 32 EUR. Pre-owned, fair condition. Size Infant 1.